On any school day, when Dan Phillips walks into a classroom or into the Marin County Technology Resource Center, you can feel excitement. Students from preschoolers to young adults are smiling and eager to learn. His energy is contagious. His knowledge about education technology is thorough. His contributions to helping all kids achieve is renown across the 19 school districts his Center serves. 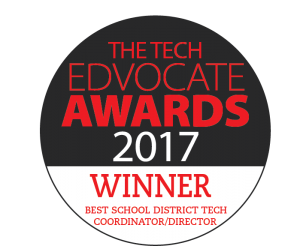 Dan is the essence of what an ed-tech leader should be and the reason why he was awarded “2017 Best School District Technology Director” in the U.S by Tech Edvocate. By trade, Dan is a Speech Pathologist, but he has managed the Marin County Technology Resource Center, a San Rafael-based facility for the California Department of Education, for many years. 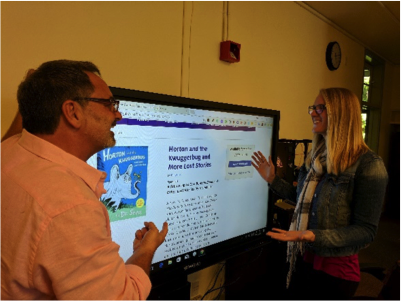 Dan Phillips, Technology Director, Marin County, CA working with Tiana McDowell, Speech and Language Pathologist at Olive Elementary in Novato School District. This Center was designed after Dan’s vision to use education and assistive technology in support of students with learning disabilities and special needs. Learning Ally is a program that Dan uses and recommends to support students who struggle with reading comprehension, like those with dyslexia or students with visual impairments. Today, his Technology Resource Center is rocking its mission to integrate modern teaching and learning approaches and training to enhance student achievement. 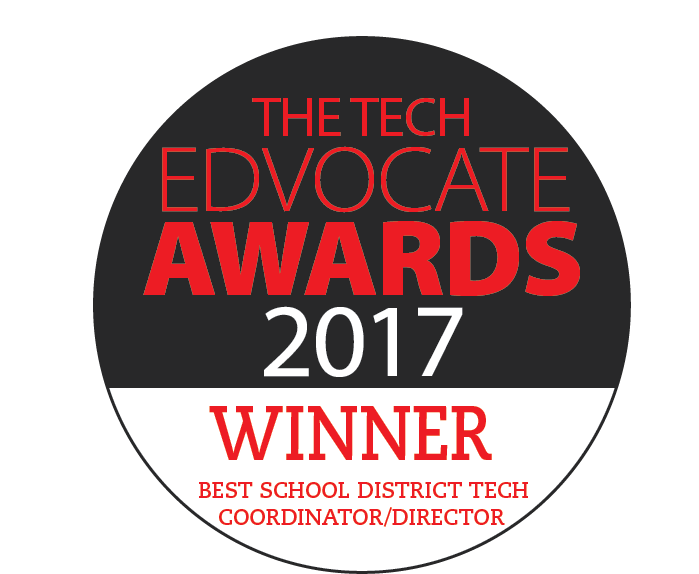 He and his team have exposed more teachers, administrators, students and their families to the right educational technologies to make a real learning difference for students. From assistive technology, to 3-D printing to robotics, art and music technology and artificial intelligence, to the latest mobile devices, apps and resources, and reading solutions, like Learning Ally, the Center is an internationally acclaimed model for supporting multitudes of diverse learners with quality ed-tech. Dan Phillips’ dedication to “education for all” is truly a commitment to celebrate. Please join us in congratulating him for this wonderful accomplishment.